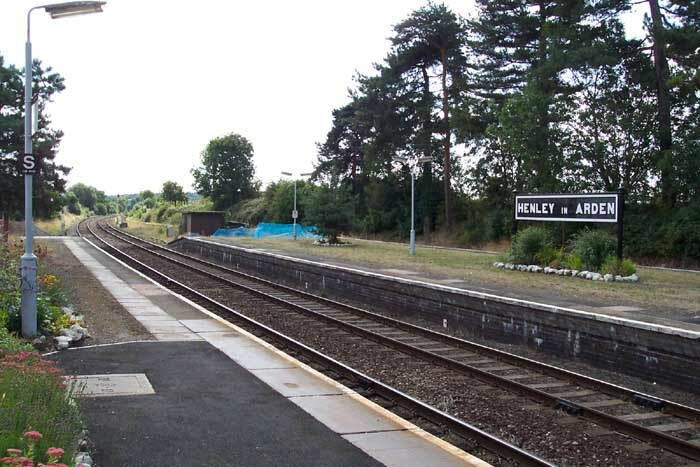 Henley-in-Arden Station as is today opened in 1908 on the newly constructed North Warwickshire Line replacing a previous branch terminus which was operational between 1894 and 1908. 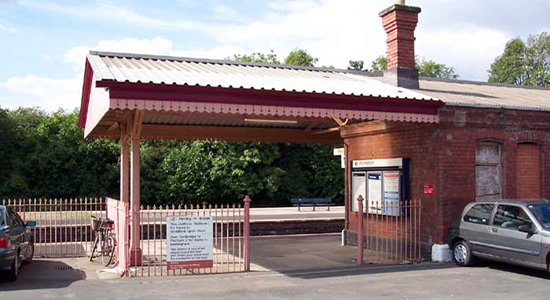 The North Warwickshire Line was instigated by the Birmingham & North Warwickshire Railway but this independant company bowed to financial pressures with the result that the project was taken over by the GWR in 1900. 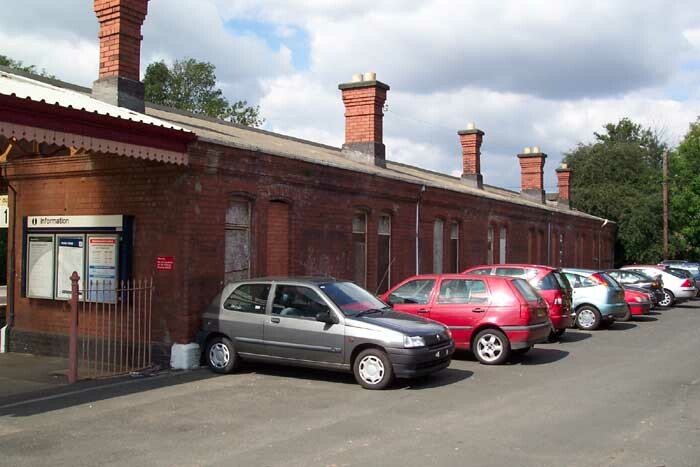 Above we see the entrance to the station from the car park off Station Road, September 2003. Above-left we are on the Stratford Platform (platform 1) looking towards Stratford - it is interesting to note that Henley-in-Arden were previous winners of the 'Britain In Bloom' competition and this is indeed reflected at the station which, despite being unstaffed, is well adorned with neatly trimmed plants: although only in black and white, evidence of this can be seen under the old-style platform sign. Above-right we are on the station footbridge looking towards Birmingham: note the signal box on the right-hand side. 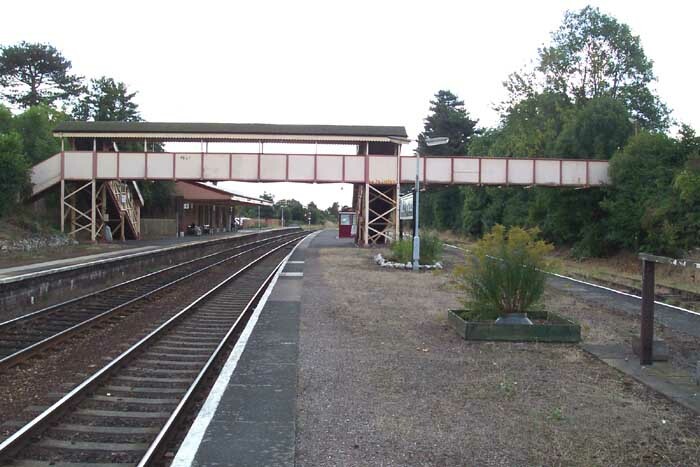 Above-left we are on platform 3, the side of the island platform furthest from the station building, looking at what appear to be disused tracks - their status appears to be borne-out by them not being mentioned on the stations destinations board. 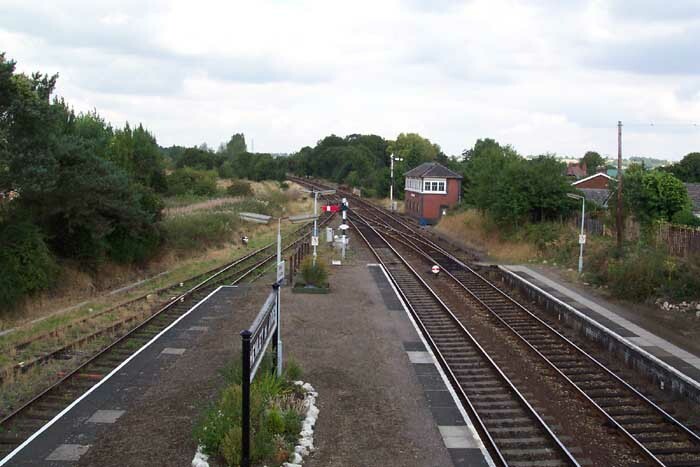 Above-right we are at the end of the island platform and looking at the Henley-in-Arden Signal Box. 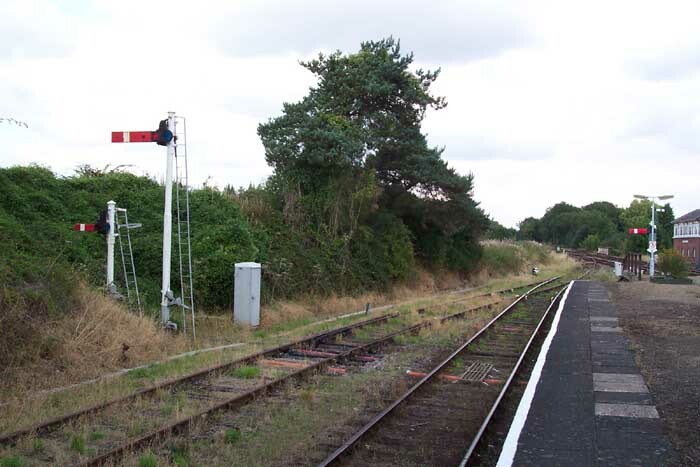 I have to confess that it is good to see semaphore signals still in use! 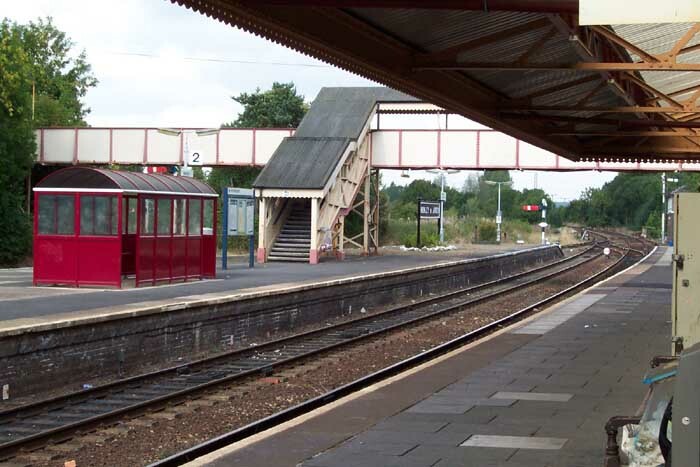 Above-left we can see across the station looking in the direction of Birmingham from just inside the entrance to platform 1: the station building is to our right. Above-right we see the station bulding from the car park. 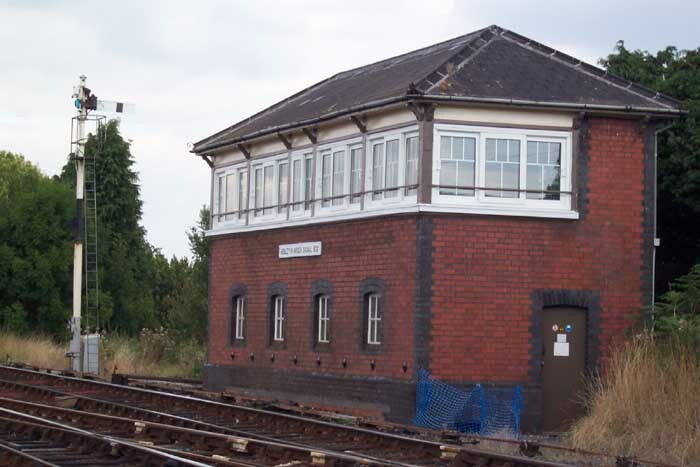 This large structure appears now to be largely defunct as the station itself is an unstaffed halt. Above we are looking back at the whole station from the Birmingham end of platform 3. Despite retaining much of its original character and structures, it is somewhat sad to see this once grand station reduced to an unstaffed halt.